Like a diamond, marble is a natural material and each block will have its own distinguishing features. Each statue is rated based on a scale of 1 to 5 diamonds. Learn more about how we rate our statues. This video and picture above are of the actual statue for sale on this page. Each of our marble statues is carved from a single block of premium hunan marble. Premium hunan marble is white with a soft, light gray veining. All of our statues are carved by hand, so each one will be a beautiful and unique piece of art. Since our statues are carved from solid marble (not cast from bonded marble or any synthetics) it is safe to use outdoors exposed in weather. The weight of the statue will vary depending on the pose, but in general on a single figure statue an average weight is: 30" Tall - 120 pounds; 40" Tall - 225 pounds; 50" tall - 375 pounds; 60" tall - 550 pounds; 70" tall - 900 pounds. If you have a favorite statue that you would like for us to custom carve please give us a call and we will be happy to discuss the project with you. 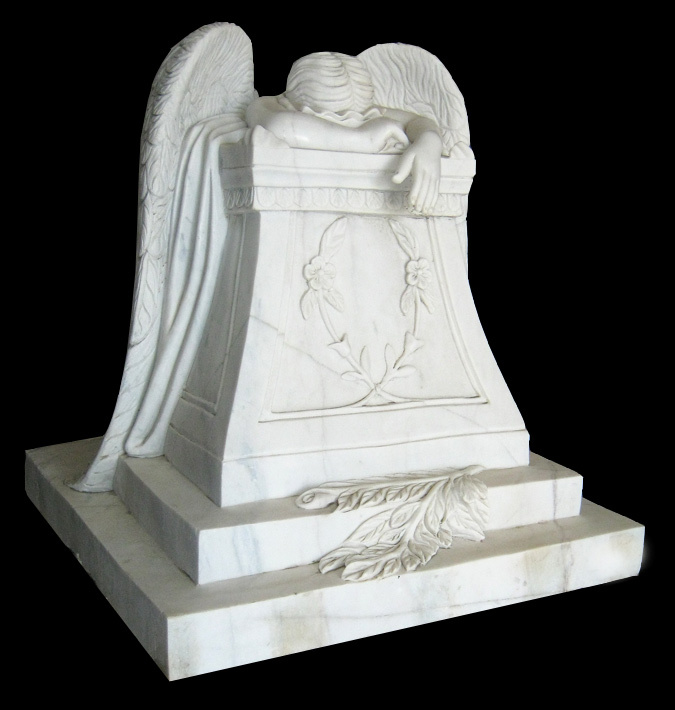 We can also customize any statue you see on our website, whether its changing sizes or making modifications to the pose we are happy to assist in creating the perfect statue for your home. Backordered Statues - Backordered statues may take anywhere from a few weeks up to 6 months for delivery. Please call us at 1-800-419-1130 and we can give you a good idea of when to expect the statue's delivery. When statues are not in stock, you may preorder them by giving us a call or ordering online. When you preorder a statue, we charge you a 15% non-refundable deposit for reserving the statue. The balance would be due when the statue arrived to us and is ready to be shipped. When preordering a statue online, please select the option to pay by check when you are going through the checkout process and we will give you a call to arrange the 15% deposit. Please don't hesitate to give us a call or email us at sales@wishihadthat.com if you have any questions or need an estimated delivery date and we will be happy to be of service!